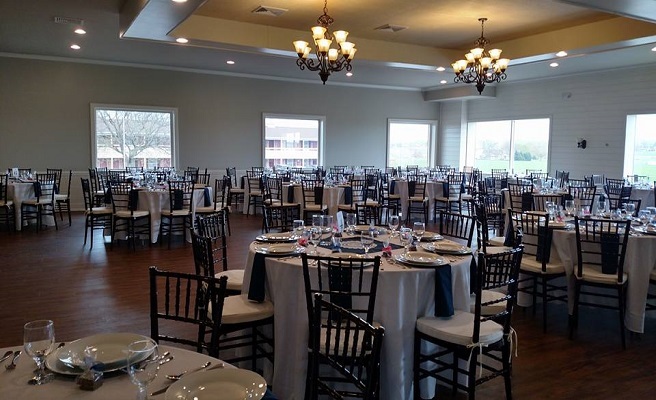 Scenic Village at Harvest Drive is a wedding and event venue in the heart of Lancaster County. With panoramic views of stunning Amish farmland and a beautifully renovated space, Scenic Village is the perfect place for those looking for rustic charm & modern elegance. The 10' elevation of this beautiful room accompanied by the large picture windows showcase the breathtaking views of the Amish farmlands that extend as far as the eye can see. Warm inviting colors, wood flooring, decorative lighting and chandeliers provide and elegant backdrop for any decor and scheme. Warm, inviting colors, large picture windows, beautiful rustic stone corner fountain, decorative lighting and chandelier provide the perfect ambiance for your cocktail reception or indoor wedding ceremony. Elevated Gazebo with attached patio overlooking the Scenic Farm Lawn and surrounding farmlands. The Couple and Officiant stand in the gazebo while their guests sit in folding white chairs to witness the ceremony and enjoy the scenery. The luscious lawn provides endless opportunities for your dream wedding. Whether you envision an open air ceremony and reception or a climate controlled tent, the lawn is spacious enough to accommodate up to 200 guests. This is YOUR day ~ if you envision something that you do not see here, share your dreams with us and we will make every effort to make them reality. Our amazing event manager will cater your package to meet your needs. We partner exclusively with Good Spirits Bartending for all our alcoholic beverage needs. Good Spirits works with each couple to customize a beverage package that is specific to the couples needs/wants/budget. 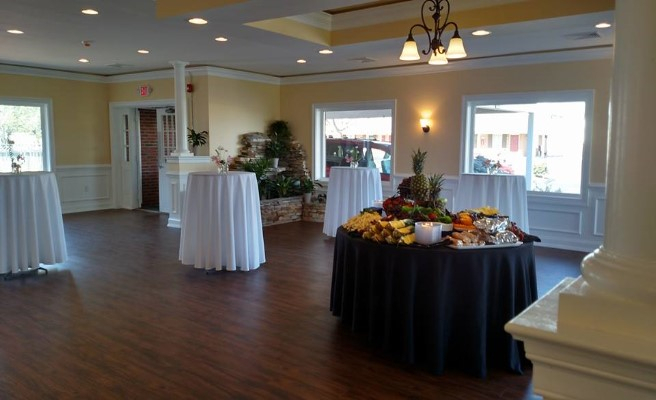 If you are working with a caterer that provides alcoholic beverage services and would prefer to use them, we will accommodate that request as well. You may provide your own licensed caterer. We do have a list of recommended caterers that we enjoy working with, but you are not required to use any specific caterer. What Is Required To Hold My Date? We require a 25% deposit and a signed contract to hold your date. 50% is due six months prior to the event, and then the remaining balance is due 30 days prior. All payments are non-refundable. When May I Arrive For My Event? 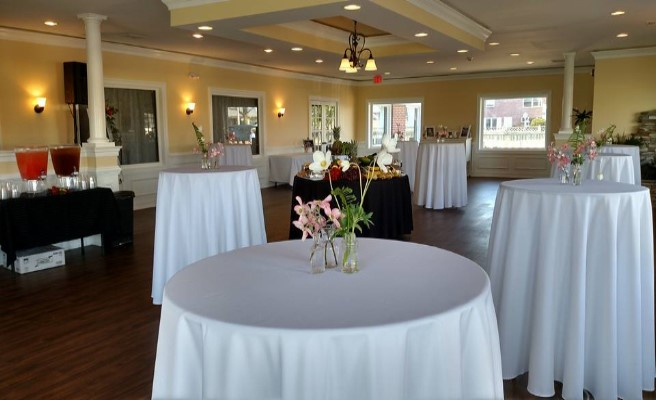 You may arrive to decorate for your event beginning at 9:00 am on the day of. Rehearsals and extended access are based on availability and may be scheduled 30 days prior to your event. Check-in to the get ready rooms is 12:00 pm unless early check-in is requested and available. Am I Free To Bring My Own Vendors? All tent, table, and chair rentals must come through Scenic Village. You may contract independently with all other vendors including, but not limited to: photographer, DJ, officiant, florist, etc. We are happy to provide you with a list of our preferred vendors should you need recommendations. When Must My Event End? All amplified music must be enclosed inside a building by 9:00 pm. All events must end by 11:00 pm to allow you and your vendors to clean up and vacate the property by midnight. Yes! The Scenic Village is on the grounds of Harvest Drive Family Inn which offers 50 newly renovated guest rooms. 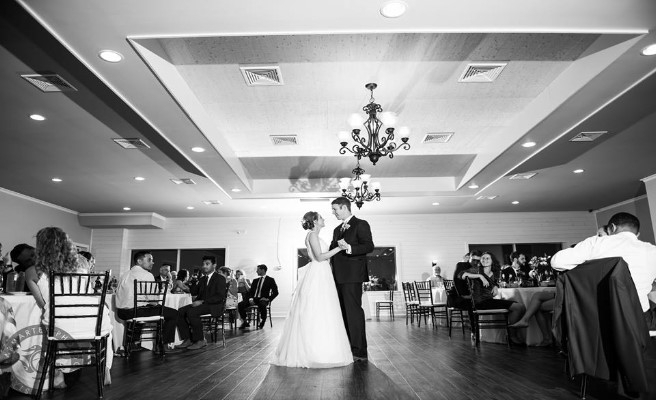 You are able to reserve a block of rooms for your wedding guests at a special rate.